​​Lonzo, you trying to tell us something? With the Lakers season all but over, the eldest Ball is apparently considering a rather monumental shift in his brand. After cutting ties with Big Baller Brand's co-founder, and with the Lakers reportedly concerned Lonzo's BBB shoes contributed to his ​injury, Ball is apparently hinting at a possible shift to Nike. Lonzo is hinting on Instagram that he's going from Big Baller Brand to Nike. "It's only a crazy dream until you do it" is an ode to Nike's 'Just Do It' slogan, not to mention the obvious Nike check mark on the Lakers' uniform. The caption for the photo itself read "Moving on to bigger and better #MyOwnMan". The photo was also liked by LeBron James. This is all very sketchy, but likely signaling a move away from BBB for Ball, a major hit to the brand and his father LaVar. Lonzo is BBB's greatest asset, hands-down, so leaving the company in its infancy could spell the end to the enterprise altogether. 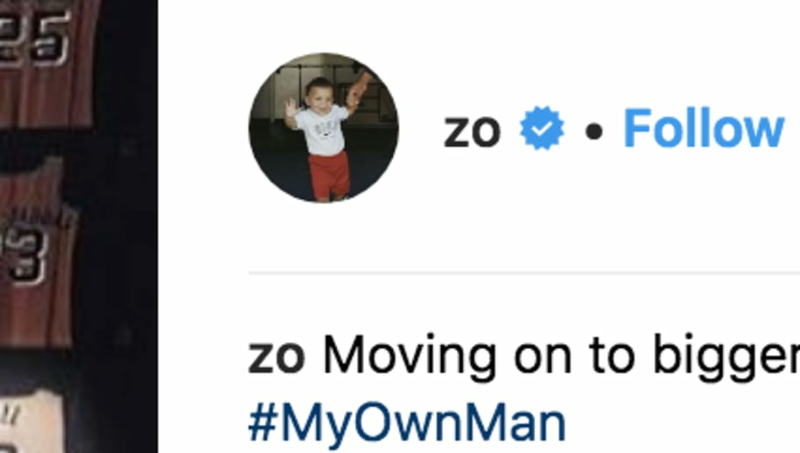 That being said, it's completely understandable for Lonzo to try and remove himself from the Ball family shadow. While LaVar cannot be happy about this rumored choice, should it work well, it'll only help Lonzo in the long run. Surely his father can respect that.